Additional Concepts are your builders of choice. 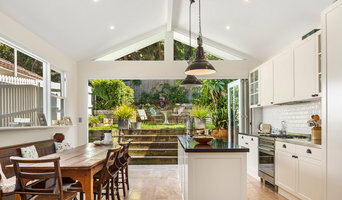 We are trusted builders with over 25 years experience and enjoyed a long and rewarding history in residential building of renovations and extensions. Importantly, we continue to have the passion and industry connections to be on the cutting edge of new developments in materials, building methods and technologies. With Simon Roy as the head of of your project from beginning to end, we are confident that your expectations for the quality and impact of the project are well and truly exceeded. Peter Roy looks after administration and behind the scenes technical aspects and ensures that every detail, deadline and issue is taken care of quickly and with no inconvenience to you. We pride ourselves on being a boutique construction company, where we offer our clients the highest quality finish and service which you deserve. We have world leading software which is given to you as part of your building experience with us, keeping you fully informed and in touch with your project at all times, including budget, variations, specifications, and scheduling. Talk about peace of mind. Jervo Renovations is a second-generation family business, running for over 20 years, specialising in high-end residential renovations. Licensed builder, Ilya Jerdetski, began working in the family business when he was 16 years old and now runs the business. Ilya is very hands-on, working with a small team of trusted tradespeople to uphold the business’s reputation of quality and reliability. 3rd Generation family home builder located on Sydney's Northern Beaches with over 30 years experience with design, managing and constructing custom bespoke residential and rural homes, shops and office interiors with or without Architectural support. A family run, small volume business that prides itself on client satisfaction through personalised client relationships and thorough attention to quality detailed solutions done correctly the first time. We still work using the old school traditions of having highly qualified and experienced in-house staff completing the majority of the work minimising the need of sub-contractors. Customarily we have in-house staff on the job site every working day until final completion. We have found by concentrating on one to two projects per annum, we can guarantee personalised customer relationships whilst providing the attention to detail we are know for. We are extremely proud of our history in the building and construction industry over the last 3 generations. from 1920 to current. Our record proves that we have been able to offer litigation free, accident free and insurance claim free work for over 95 years. Please feel free to contact Mel to discuss your next project. Additionally we offer: -Our own in-house 3D BIM modeling and drafting design team -In-house planning, development application team for council approvals -In house excavation equipment including 5 ton excavator, bobcat and tip truck -In-house carpentry including all aspects of in-house traditional timber framing and complicated roof pitching done the old school way -In-house custom made detailed cabinetry and finish joinery -In-house custom made aluminium and timber made windows and doors -In-house home cladding including interior, exterior and roof systems We service Northern Beaches areas, Manly, Warringah, Pittwater, North Shore, Mosman, North Sydney, Ku-ring-gai, Hornsby, Willoughby. Firms that can carry out both design and construction in Mortdale, New South Wales take on the combined responsibilities of an architect, draftsman, construction company and additional contractors, providing one point of contact for homeowners. Having one entity responsible for the entire design and build, from estimation to subcontracting and even post-construction, streamlines and often speeds up the project significantly. Having a unified project team can also help you avoid unforeseen costs and delays in construction. In addition, the homeowner only has to interpret one contract with the design and construction firm, and not with various architectural design and contracting professionals. However, depending on the firm, you may still want to contact an interior designer or architect to help create the exact look you want. Here are some related professionals and vendors to complement the work of design & construction firms: Interior Designers & Decorators, Landscape Architects & Designers, Architects, Photographers. Project management demands time, skills and an eye for both detail and efficiency. While many homeowners choose to manage their own projects, they can often regret their decision once the build or home improvement project is complete. Homeowners should carefully consider the time they have available to allocate to locating, hiring and eventually paying every contractor who enters the site. From certifiers to roofers, and even your draftsman, a firm that can undertake design and construction in Mortdale, New South Wales benefits from having all of these home professionals under one roof. 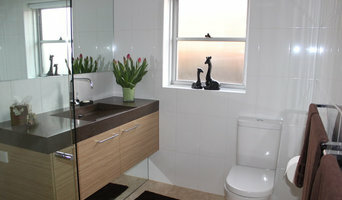 Find a Mortdale, New South Wales design-build firm on Houzz. Scroll through this page to find design-build firms in your area. You can browse recent projects, read reviews and message the firm directly. 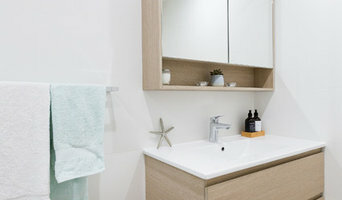 Another way to find a firm that can carry out design and construction in Mortdale, New South Wales is to browse Photos on Houzz. If there’s a photo you like, find out who designed and constructed it and strike up a conversation with the professional responsible.